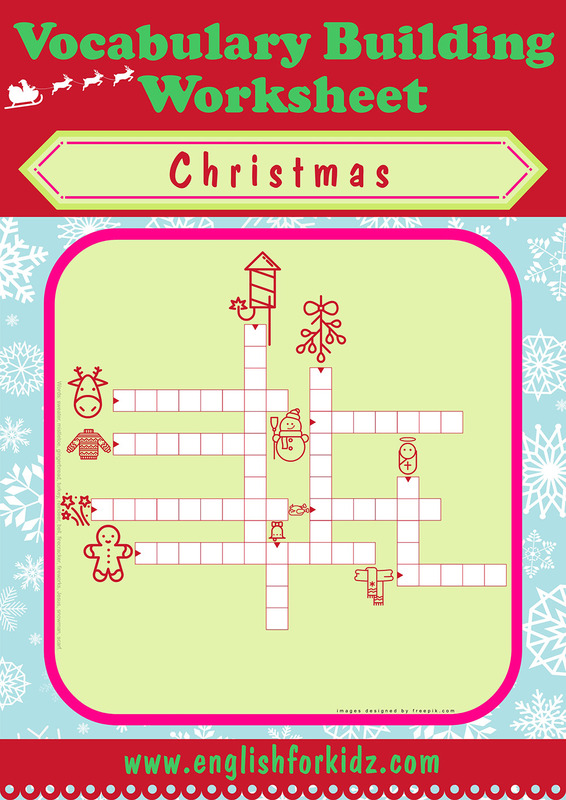 Christmas crosswords make a part of the Christmas kit I designed to introduce the holiday vocabulary to my students. A variety of visually appealing flashcards, games and worksheets including crossword puzzles, word search puzzles, word and image matching assignments helps kids better memorize the relevant English vocabulary through fun activities. 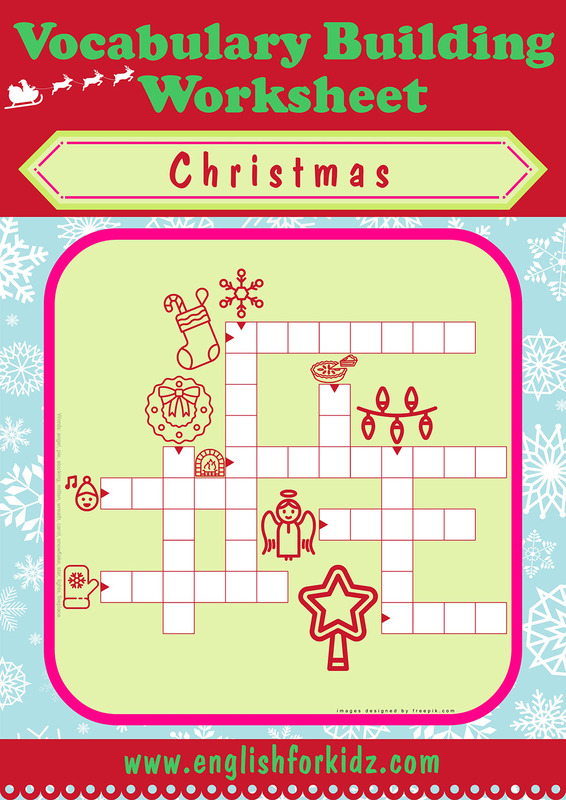 ESL teachers and any other educators are welcome to use my printable Christmas worksheets for their lessons. 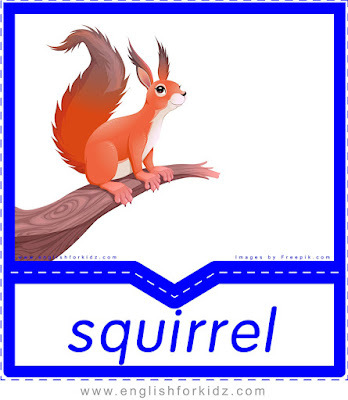 Please, share your experience of using my teaching materials in the comment section below. Christmas crossword for words ball, poinsettia, pudding, pinecone, sleigh, candy, decoration, elf, gift, ham, candle. 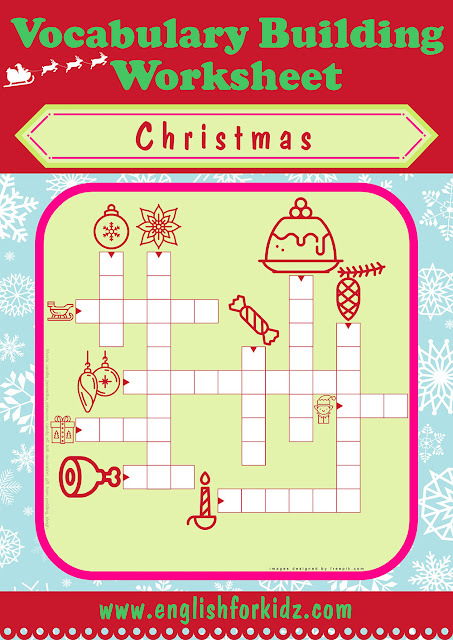 Christmas crossword for words firecracker, mistletoe, reindeer, sweater, snowman, fireworks, turkey, Jesus, gingerbread, bell, scarf. Christmas crossword for words snowflake, stocking, wreath, pie, lights, carol, fireplace, angel, mitten, star. 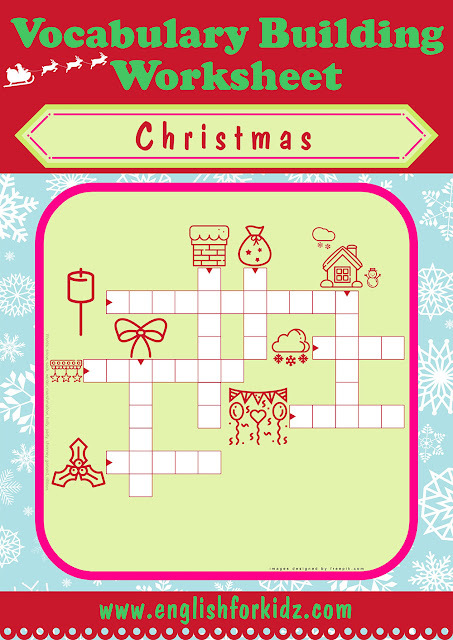 Christmas crossword for words chimney, sack, winter, marshmallow, ribbon, snow, garland, party, holly.